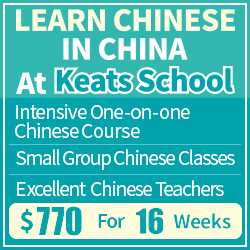 So you’ve studied Chinese for a while and feel that you’re getting the hang of it. You can read your textbook, graded readers and perhaps even some texts written for native speakers. It took a lot of time and effort, but you can read Chinese and it feels great! Then someone sends you a handwritten note in Chinese and suddenly you don’t feel so great any more. It could be a post card, a shopping list or some comments on your latest writing assignment. The point is that you can’t read it, even though you know that you would have been fine if the message had been printed. Welcome to handwritten Chinese! Most people’s handwriting is not anywhere near as neat as printed letters or standard computer fonts. Writing clearly takes practice and time; most people simply can’t be bothered. The result is either sloppy, cursive or both. This is faster to write, but harder to read. People write characters differently, so even if you have learnt how one person writes, it’s not a given that you also understand what someone else writes. This should be the case in your native language, too. I sometimes can’t read what my mother writes because I’m not used to it. As is often the case, the key to this problem is simply practice. 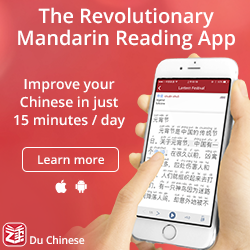 If you want to learn how to read handwritten Chinese, you need to practice doing just that. In general, it’s not uncommon for new teachers of any subject to find it hard to read what students write, but after reading student assignments for a while, they get used to it. So, how do you practise this, then? You’re unlikely to have stacks of papers full of handwritten Chinese lying around. If you for some reason can find that, it’s still very unlikely to be suitable reading material for you. I suggest the following: use computer fonts that mimic handwriting to practice your reading skill. This is not perfect since a computer font by definition displays exactly the same thing every time, but you can still practice reading texts that come pretty close to actual handwriting. By changing the font, you can vary style and difficulty. Moreover, you can use any reading material you want! Just paste it in your text editor and change font! Before I show you some fonts, I’d like to say a few words about stroke order. 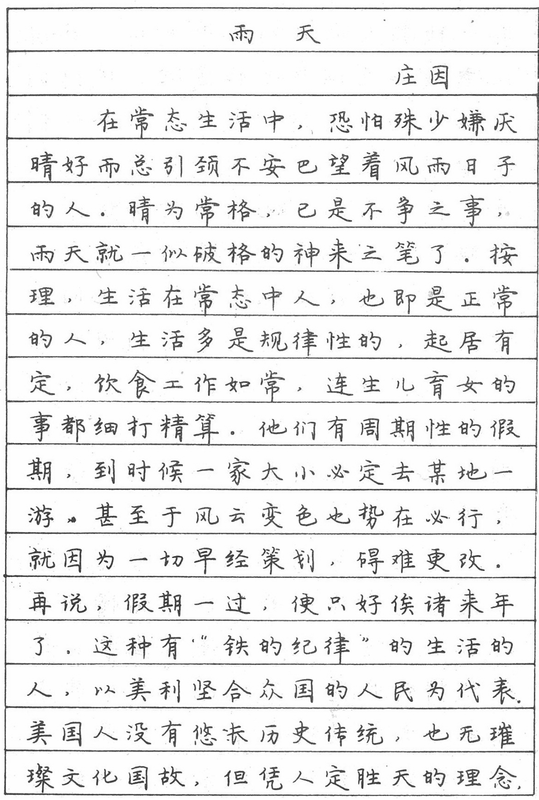 Reading handwritten Chinese is one of the less well-known uses for proper stroke order. If you don’t know the stroke order, it’s really hard to know which strokes or dots have been joined together and even when you try to break it down, a handwritten character will have only a vague resemblance to its printed version. With the right stroke order, it makes a lot more sense! Below, I have listed five fonts you can use to practise, plus two reference fonts. They are ordered from easiest to hardest (my personal opinion) and represent only a small sample of all the fonts that are freely available online. Each font comes with a sample and a link to where you can download it (they are all free). Please don’t ask me about how to install fonts on your device, just search for [your device] + [install font] and you should find instructions for how to do this. These are fonts for simplified Chinese. If you want traditional, you can find plenty of them here. You can also find more simplified fonts here. For even more, just search online in English, or use 手写字体 (手寫字體). Even though this post is about reading handwritten Chinese, it feels only natural to at least mention using these fonts to practise your own handwriting. Should you? Perhaps. If you’re a beginner, you should stick to regular script and not try anything fancy. If you’ve studied for a while, can write okay, but feel that you want to improve your penmanship, feel free to find a model and practise mimicking that. Of the above, I think number four is the most suitable for this. Learning to read handwritten Chinese takes practice, so don’t be discouraged if it feels like a new language the first time you encounter it. It’s not! The characters are the same, they’re just realised in a different way. 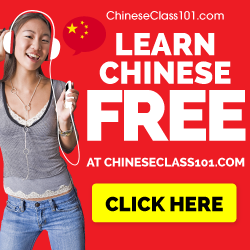 This is perhaps similar to speaking Chinese: each person has his or her own way of pronouncing the words and each person’s voice is unique. Just as you can’t rely on the voice of one single person if you want an excellent listening ability, you can’t rely just on printed texts if you want to be able to read what people write by hand. Practice makes perfect. Great post! I’ve been trying to work on my handwriting but I struggle with 字帖. As soon as I stop tracing, my characters look nothing like theirs. 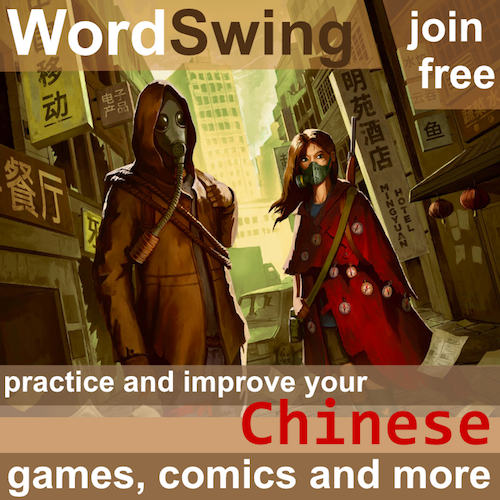 One book that I’ve found very helpful is 席殊3SFM实用硬笔字60小时训练 (think I saw it posted on chinese-forums a while back). It’s a mix of 字帖 and instructions on different strokes and components that it groups new characters by. I don’t actually find the handwriting in the book very visually appealing, but the explanations do help. 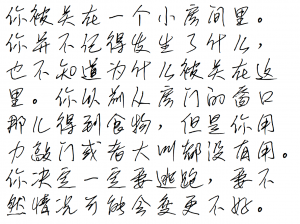 I quickly became aware of this problem early in my study of Chinese: I could read Chinese when it was clearly typed in a clear and basic font, but had quite a difficult time reading handwritten or `fancy’ cursive Chinese script. Fortunately, I am in China, working as an English teacher at a University. So I would hand out a paragraph… perhaps containing a couple hundred Chinese characters… to my students at the end of class and request that they all write out the paragraph and hand in the papers to me. Then, comparing the original, clearly typewritten text with the cursive, handwritten texts from the students, with a great variety of handwriting styles, I was fairly quickly able to drastically improve my reading ability.